Thank you for choosing your tour - all tours are brought to you by West Coast Tours, City Sightseeing Glasgow and Scotline Tours. If you have any problems with booking please contact us via the links in the footer. Tour Departing from Edinburgh. 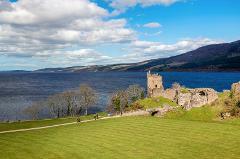 The Highlands is renowned for its majestic and spectacular scenery - on this one day guided tour you will see Lochs, Mountains, Castles the deep valley of Glencoe, the famous Caledonian Canal and Loch Ness. Tour Departing from Edinburgh. Highlands in Miniature - this one day tour operates on Tuesdays and Thursdays and includes the Kelpies, Loch Lomond, Aberfoyle, Doune Castle and Stirling. 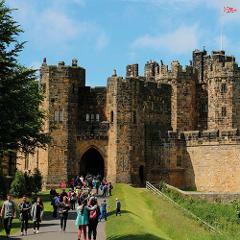 This one day tour operates on Wednesdays throughout the year and includes Gardens, Castles and a tidal causeway as we visit Lindisfarne, Bamburgh and Alnwick. 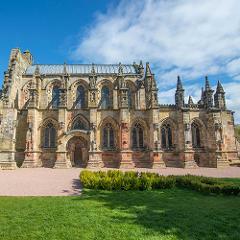 This one day tour operates on Fridays throughout the year and includes Rosslyn Chapel, Scottish Seabird Centre, Tantallon Castle and Dirleton Castle. 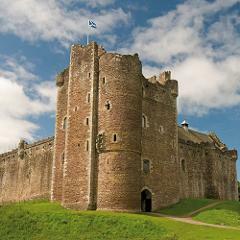 Outlander Sights - this one day tour operates on Saturdays throughout the year and includes Doune Castle, Loch Katrine, Trossachs National Park and Linlithgow Palace. 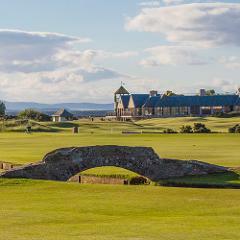 This one day tour operates on Sundays throughout the year and includes St Andrews, Forth Bridges, Anstruther and Kingsbarns distillery. Tour Departing from Edinburgh. 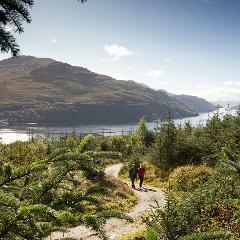 The Highlands are renowned for their majestic and spectacular scenery - on this two day guided tour you will see Lochs, Mountains, Castles the deep valley of Glencoe, the famous Caledonian Canal and Loch Ness. Tour Departing from Edinburgh. 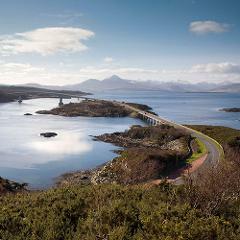 This three day tour takes in the breathtaking Highlands and it's capital, Inverness as well as the unique island of Skye. Accommodation options are given to fit all needs and budgets. 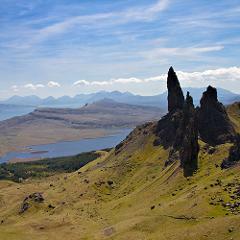 This four day tour takes in the breathtaking Highlands and it's capital, Inverness as well as the unique island of Skye and the magnificent John O'groats point. Accommodation options are given to fit all needs and budgets. This comprehensive five day tour gives real insight into the history, landscape, legends and people that make the Highlands of Scotland such a distinctive place. 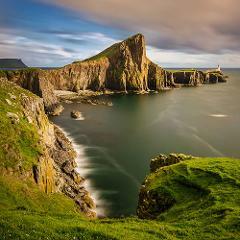 See Scotland in a day! 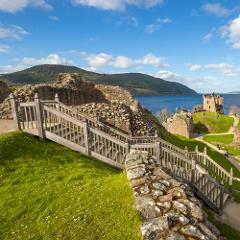 This new tour brings to you the wonder of Loch Ness and the breathtaking scenery of Glen Coe. Departs daily from Glasgow.